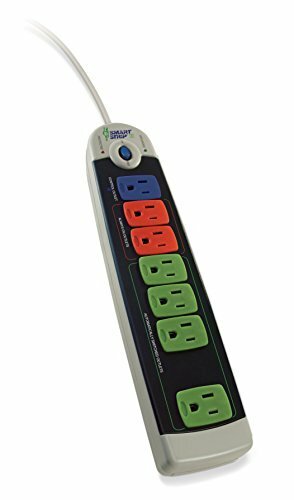 You don’t want your power strip to eat up power, but you also want assurance that your equipment is safe from harsh power surges. Ideal for computer systems and home entertainment centers, the Smart Strip LCG3 employs a proprietary auto-switching technology that automatically shuts down devices that are not in use, saving you money and reducing your overall energy usage. 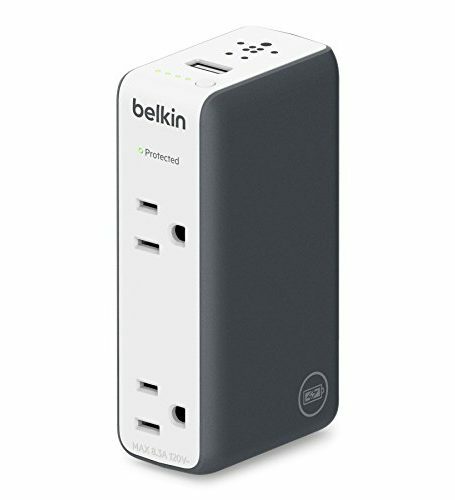 The Smart Strip has 10 clearly marked outlets that you plug your computer or home entertainment center peripherals into. 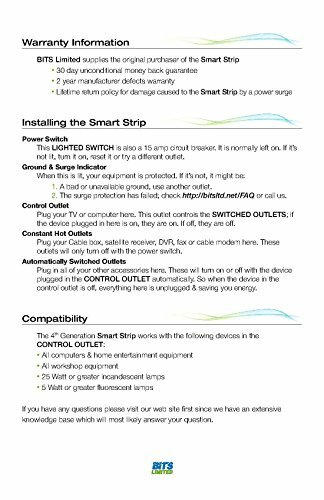 When you power down your computer or stereo, the Smart Strip automatically shuts down the power to your computer’s and entertainment’s center peripherals. This unique feature not only saves you money and helps the environment, it also makes shutting down your systems fast and easy. 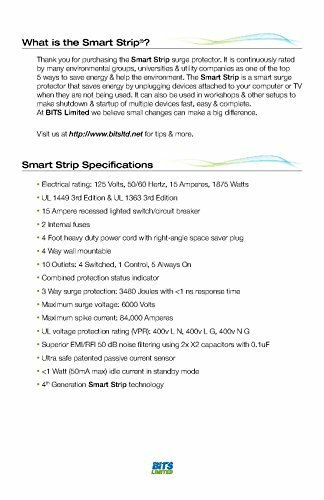 Unlike most power strips, the Smart Strip itself uses very little energy. 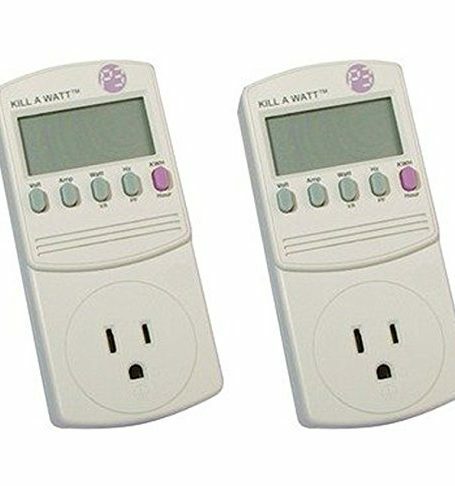 It uses one watt of power when fully engaged and less than ¼ of a watt when the automatically switched outlets are off. Power strips without EMI/RFI (Electromagnetic Interference/Radio Frequency Interference) run the risk of allowing waves from one electronic device to cause malfunctions or interference in another. 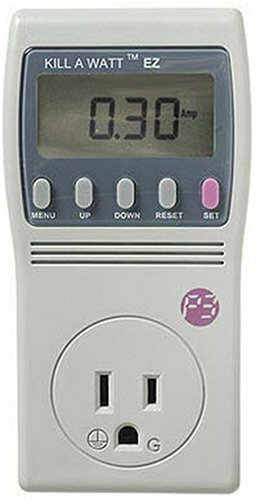 The Smart Strip LCG3 protects you from this risk with its advanced EMI/RFI filter, backed up by a 15 AMP circuit breaker and two frequency-sensitive RC filters that eliminate false switching. 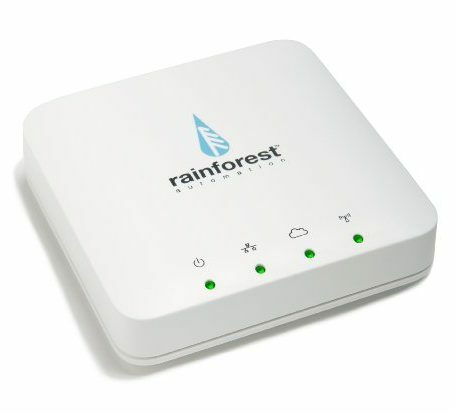 Plus, a passive current sensor ensures an ultra-safe, ultra-clean switching off and on of your peripherals, giving you added peace of mind that your valuable electronics will remain safe. The possible hazards of power surges are further prevented with 4380-joule surge protection and 84,000 AMP protection, both of which employ a three-way design to give you the ultimate protection for your valuable equipment. 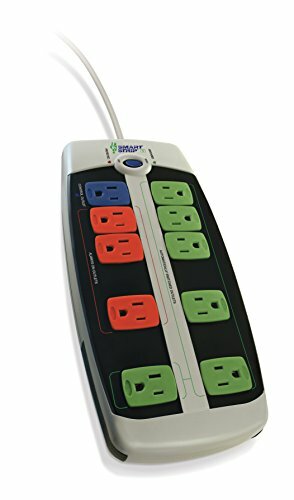 The Smart Strip LCG3’s widely spaced, clearly marked outlets give you the space and ease to connect all necessary equipment. 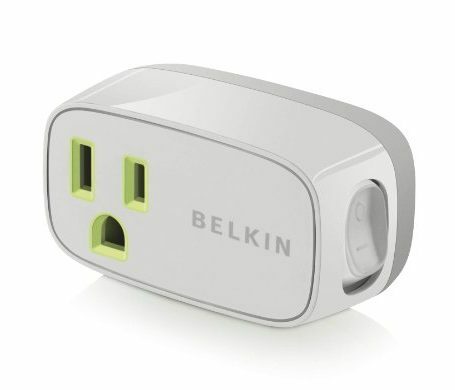 The four-way wall mountable design, 90° space-saver plug, and heavy-duty four-foot power cord offer the versatility to place the power strip wherever it is most convenient, so it never gets in the way of your footpath or your home décor. A lighted power switch keeps the strip visible, so you’re never left fumbling in the dark. The Smart Strip LCG3 is backed by a full two-year warranty for defects.